Disassemble your Sig Sauer P220 for cleaning. The P220 is manufacutered by Sig Sauer of Germany. Chambered for .45 caliber ammunition, the P220 is used by law enforcement and elite military units around the world. The Sig P220 features a steel frame and slide and is designed to be a durable and dependable handgun suitable for use in a variety of situations and conditions. Routine maintenance includes disassembling the gun for cleaning and lubrication. Take down is designed to be simple and quick to make field stripping less time consuming. Place a clean rag on a sturdy work surface. A rag or old towel will help protect the Sig Sauer P220 from any damage or scuffs during the assembly. The cloth will also help hold parts in place. Press the magazine release located just behind the trigger of the Sig P220. Pull the magazine from the frame of the Sig and place it to the side. Hold the grip of the P220 and pull the slide back as far as it will go. Push the slide stop, located on the side of the Sig, upward until the the slide locks in place. Examine the firing chamber of the Sig to ensure the gun is completely unloaded before proceeding. Locate the take down lever on the side of the P220 just above the trigger. Turn the lever straight down. Pull back slightly on the slide of the Sig to disengage the slide lock and guide the slide assembly forward and off the frame of the P220. The slide, barrel, guide and recoil spring will all come off the gun frame together. Turn the slide assembly upside down with the end of the barrel nearest to you. Use your thumb and index finger to compress the recoil spring and carefully remove the spring and guide from the gun. Use caution during this step as there will be quite a bit of compression on the spring. Lift the barrel assembly upward and slide it slightly back to clear the end of the slide. Pull the barrel up and away from the slide. 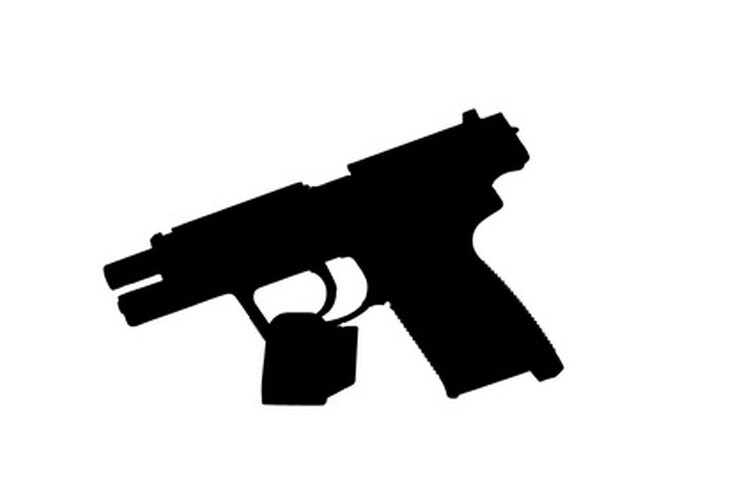 Keep your finger completely away from the trigger of the Sig P220 until you are sure the gun is unloaded.